— Excerpt from the Creature Compendium, A Guide to Hunting the Monsters and Creatures of Atheles by Etahn Belbane, monster hunter, and Delgon the Librarian. The Creature Compendium, A Guide to Hunting the Monsters and Creatures of Atheles will be a 100+ page book filled with over 90 creatures for the gloomy lands of Atheles. The book will be hardbound, designed to look as if it is the leather journal of a monster hunter*. 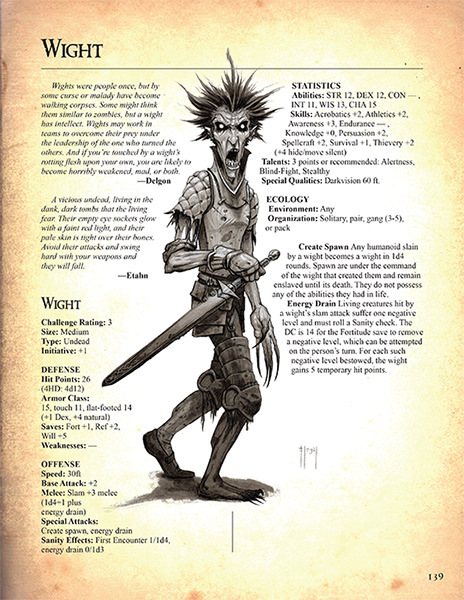 Inside each creature has descriptive text, stats for the SagaBorn RPG, and an illustration or two. 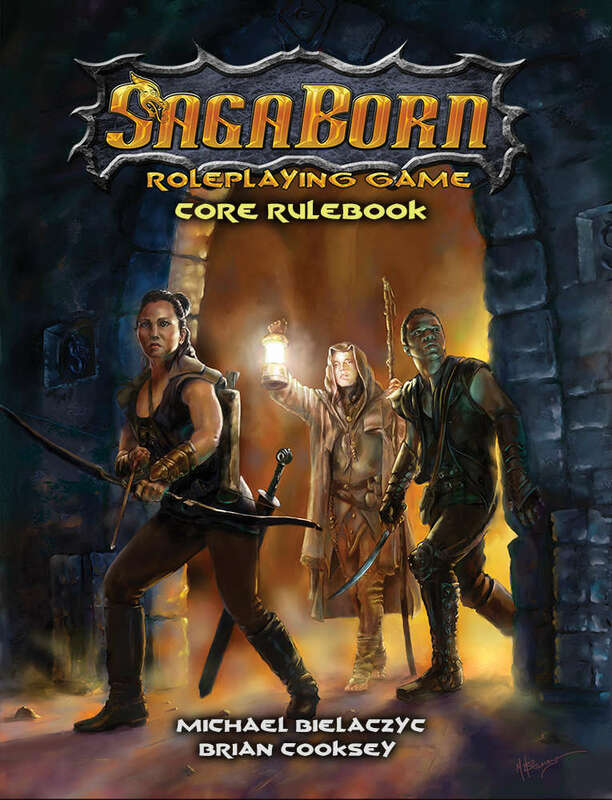 This will provide GMs all the information they need to start building adventures in the Dark Return setting, give adventurers a leg up on the monsters they may face, or give a collector a book filled with wonderful artwork. The book is told through the eyes of two well known monster hunters from Atheles, Etahn and Delgon. This gives the descriptions a personal touch, and a view into the larger world of the Dark Return.